It's a great product, but don't pay full price for something that's likely to drop in price during Black Friday. 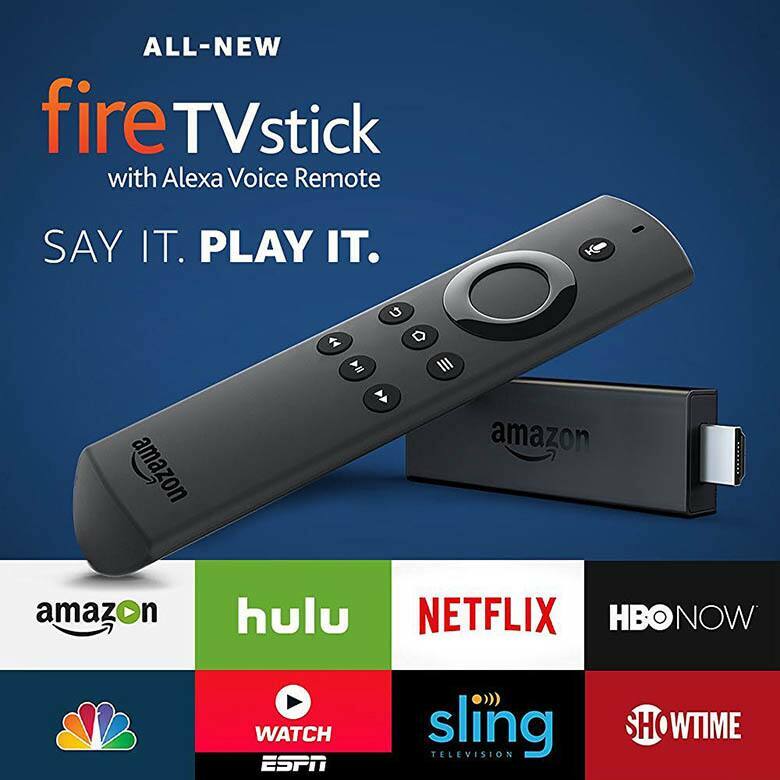 Amazon today announced its new version of the popular Fire TV Stick, which will include their virtual assistant Alexa. The price is $40 and it's available for pre-order now, but will not begin to ship until October 20. First off, let me just say that I'm a fan of the Fire TV Stick. I bought one during Prime Day this year for $35 (with the remote) when it was discounted by $15, and I use it daily. I stream live TV via the Sling TV app, I get NFL Sunday Ticket on it and take full advantage of the HBO NOW app that actually works on the Fire TV Stick (unlike the iOS version that crashes all the time). Simply put, it's a cord cutter's dream. However, I wouldn't buy the new model right now. Since it won't ship until October 20th, you'll only be five weeks away from Black Friday if you pre-order it. And if you remember, last year Amazon started having pre-Black Friday sales on November 2nd. Those were mainly crappy lightning deals, but by November 20th you could buy the Fire Stick at a $15 discount. The same thing happened during Prime Day this summer, so chances are there will be a similar offer in November. They could pull a fast one on us and only make it available via the Amazon Echo, forcing you to use Alexa to get the discount. I still think it's worth holding off for now. Even if Amazon don't end up discounting the new Fire TV Stick because it's, well...new, there's still a chance you can get it much cheaper. In case you haven't noticed, you can now buy certain Amazon products at Target, Best Buy and Bed Bath & Beyond. Those are all retailers that tend to go big during Black Friday. So far, only Best Buy seem to carry the new Fire TV Stick, but that could potentially change. While they won't be able to offer a lower price than Amazon, they can throw in a store gift card to sweeten the deal. Something they do frequently throughout the year. I'm not going to dig deep into the tech upgrades and talk about 802.11ac WiFi support or quad-core CPU, because I don't know what half of that means. And guess what, I don't need to. After all, the remote only has eight buttons and now you don't even need to press them as often thanks to Alexa. In short, you don't need to be tech savvy to operate this thing. If you still want to geek out on the specs, you can read what Andriodpolice.com had to say. The new Fire Stick will be a bit faster than the old version, which is a welcome improvement. One pet peeve I have with the current model is that it has a tendency to lag occasionally. The other noteworthy improvement for the average user is, of course, the addition of Alexa. This will be life changing for me since my 1-year-old loves to hide the remote in our bedroom. Now it won't matter, I can just talk to the Fire Stick using Alexa. Problem solved. You'll also be able to order pizza, request an Uber, check the weather etc., just like you can with the Echo. If you're watching a TV show or movie on Amazon Video you'll also be able to rewind and skip ahead using the playback voice control. That feature won't be available on other apps, however. The new Fire TV Stick does not support 4K content, in case that's a deal breaker for you. But neither does the Apple TV, which starts at $149. Overall, the Amazon Fire TV Stick is a great addition to your home entertainment arsenal. Especially now that it comes with Alexa. Definitely consider buying it, just wait until November and see if the price drops. It should.